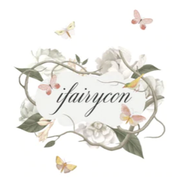 Shopping at I.Fairycon is just at your fingertips by following few simple steps stated below. Step 1 : Register an account with store.ifairycon.com. Step 2 : After registering you will see a confirmation message of your registration. Step 3 : Once you have registered an account with us, you will be a member of our website and you can start shopping at our website. Click on the products you wish to purchase. 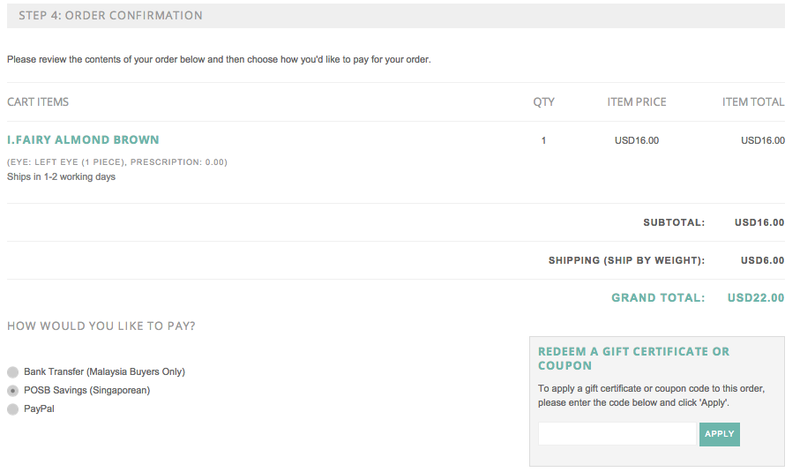 Step 4 : Once you have done shopping you can click "View Cart" and click "Proceed to Checkout" once you confirm your order and ready to purchase. Step 5 : Fill in your billing details. You can ship to address that is different with your billing address. 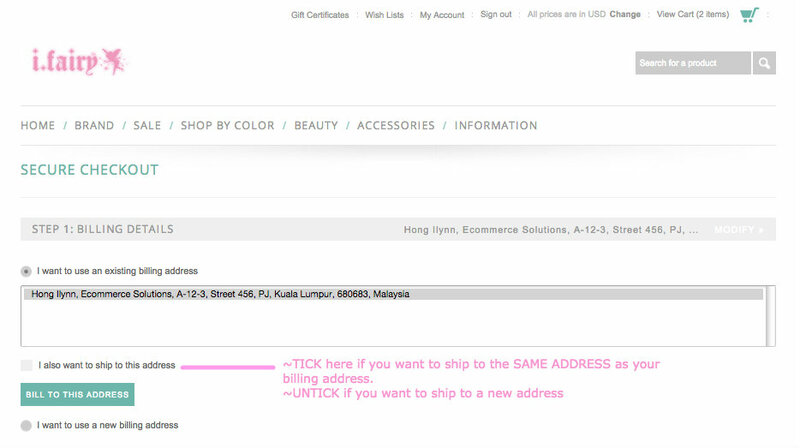 If you want to ship to the Same Address as your Billing Address, just TICK the box as shown below, If you want to ship to a New/Different address UNTICK the box and to proceed click “Bill To This Address”. Step 6: Select the shipping method preffered. Step 7: Review the contents of your order below and then choose how you'd like to pay for your order. Step 8: Click on the "Checkout with PayPal" logo to bring you to Paypal webpage to make payment (If you are paying with Paypal) Or Copy Paste your bank transation if you are paying via Bank Transfer. Step 9 : We will ship the items within 1-3 working days (from Monday to Friday) after we have receive your payment. Customers who fail to make payment within 3 days, we will cancel the order. Step 10 : Once you have receive your items do check your lenses for any defects or damages, if you find any defects or damages with your items please contact us within 7 days once you have receive your item. No replacement or refund will be given for any defects or damaged items after 30 days from the purchased date.